I've not been posting lately because I've really been trying to figure out how I'm going to accomplish this Petoskey stone task. Plus, I've just had some spring-time life stuff get in the way – I did train for and run a 5k this month – those training runs exhausted me, and I was unable to work on the project. Lately I've been fine after my runs, so I don't think that should get in the way anymore. I do think I finally got a game plan (and energy) and am enthusiastic once again. So expect to see more posts soon. 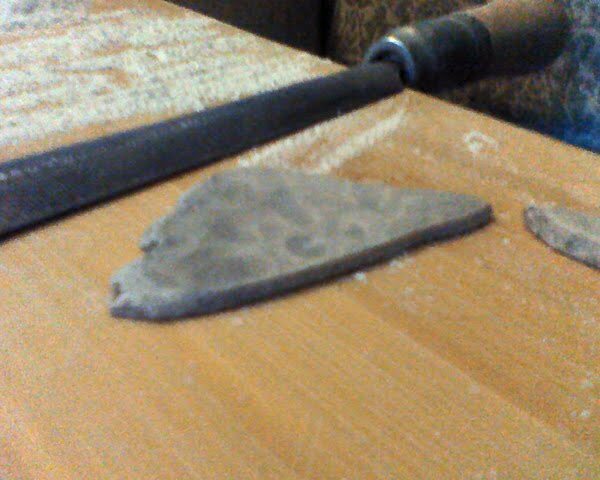 Thinning up the petoskey stones with a hand file. 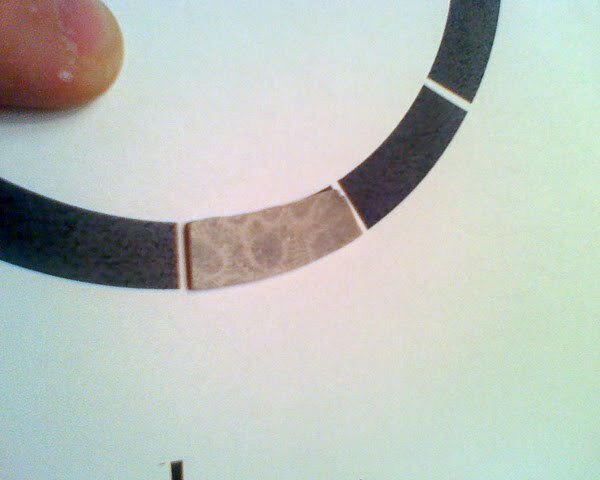 I can get them pretty thin with the tile saw, but there comes a point where they are just too thin and start to break. 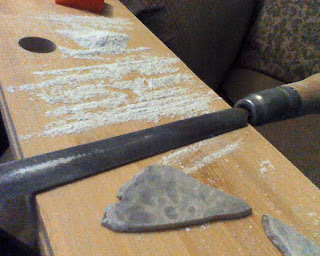 The hand file works well to remove a lot of material without breaking. Once I have the rocks thin enough I used the same procedure to shape the pieces that I did for the Mother of Pearl logo. It worked perfect and cut fast. The piece below is perfect except for the inside corner... I knew I messed that up, but continued just to see if it was possible. I'm convinced that it is possible and plan on cutting more out tonight. As you can see in the photo below the rock is almost to thickness. 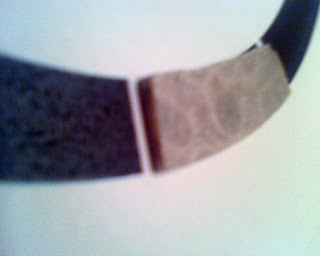 I will do some final sanding (in a mold) once all the pieces are cut out. This is going to be awesome!